Bodhi News & Analysis - 20 Feb. 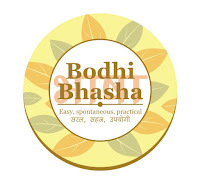 Welcome to Bodhi News for 20 February, 2017 - from Bodhi Booster knowledge portal! 1. Indian politics – The DMK in Tamil Nadu (leader : M K Stalin) has moved the Madras High Court raising objections to the manner in which the Trust Vote was conducted in the Legislative Assembly last week (Saturday, 18-Feb, 2017). AIADMK Chief Minister E.Palaniswami had won the vote. 2. People and personalities – The retired Supreme Court of India Chief Justice Shri Altamas Kabir passed away on 19-February after a brief illness. He was known for his gentle yet firm nature. 3. Indian politics – The Central Information Commissioner (CIC) has ruled that the statement of Nathuram Godse (the assassin who killed Mahatma Gandhi on 30-01-1948), along with other relevant records related to the assassination of Mahatma Gandhi, should be “proactively disclosed” on the website of the National Archives of India. 4. Science and technology – Microsoft co-founder and the world’s richest person Bill Gates has said that robots that steal human jobs should pay income taxes. If this is not done, people will fear innovation rather than being enthusiastic about it. 5. World politics – Donald Trump addressed a Florida rally, and referenced to a terror attack in Sweden the night earlier (in an oblique reference to risks immigrants pose). The only problem – there had been no terror attack there. 6. Companies, products, services – Legendary “startup” Uber has been rocked by allegations by a female engineer of sexual harassment at its San Francisco office, followed by company HR’s unwillingness to take strict action. CEO Travis Kalanick has promised an urgent investigation. 7. Defence and military – A carrier strike group of US Navy has begun patrolling in the South China sea region, despite repeated warnings by China against challenging its sovereignty in the region. Trump and Secretary of State Tillerson have earlier warned China about building islands there. 8. Indian economy – The government is serious about PSU disinvestment this time round! Following up with the Budget announcements, the finance ministry has begun the process of listing Rail PSUs – IRCTC, IRFC and IRCON – on stock markets. 9. Indian economy – The entry of Reliance Jio is forcing the contours of the Telecom industry to change rapidly. Now Tata Telecom is reportedly discussing merger talks with R-Comm, Aircel and MTS. 10. Indian politics – PM Narendra Modi’s comments during election campaigning in Fatehpur, UP regarding “Ramzan-Diwali and Kabristan-Shmashan” has made the Congress very angry, which has complained to the Election Commission and sought derecognition of the BJP and action against Modi. 1. As per Economic Survey of India 2016-17, our tax to GDP ratio is at 16.6 per cent and is well below the emerging market economy (EME) figure of 21% and OECD averages of 34 %. So, we collect less taxes compared to our size. Remember that tax to GDP ratio includes all income taxes (income/wealth/property/capital gains taxes), and all indirect taxes (excise duty, customs duty, service tax, etc. – i.e. the GST). 2. Taxes can be (1) on Income and Expenditure (Direct taxes) like Corporation Tax (income tax on companies) and Income Taxes on individuals, or (2) on Commodities and Services (Indirect taxes) like Customs, Excise Duties and Service Tax. Indirect taxes are taxes on goods, services, excise goods and so on, hence everyone who purchases or consumes a good or service pays them (including the poor). 5. At least 24% of PSU bank deposits are compulsorily invested in government securities (= govt. borrowings). So government is scared everytime savings rate drops (where will it get such large funds so cheaply otherwise). 6. Approximately speaking, roughly 5.5 per cent of earning individuals pay taxes, which is just above 1% of Indian population. Unless this grows, health and education cannot get proper spends. Around 90% Indian households earn less than Rs.2.5 lac a year, which was the tax exemption limit. It keeps changing. Farmers, even if crorepatis, are not needed to pay taxes. Non-salaried classes pay lower rates. 7. The Goods and Services Tax (GST) regime will have a positive but naturally limited impact in deepening the broader objective of citizen participation, state building and democratic accountability. Read a comprehensive Bodhi on GST here. 8. There was an increase in the tax to GDP ratio of about 0.5 % in 2015, and 2016, due to higher indirect taxes collected while crude oil prices kept lowering. There will be large one-time gains from demonetisation and the black money disclosure schemes. 10. For point 2 above, Income Tax for 2016-17 (as per Budget 2017-18) was Rs 3.45 lac crores (Rs.3,45,000,00,00,000), or 20.2% of the total tax revenues (Direct + Indirect, Centre + States). Companies paid Rs.4.93 lac crores. Customs duties were Rs.2.17 lac crores, Excise was Rs.3.86 lac crores, and Service Tax was Rs.2.47 lac crores. See the exact breakup in this image to understand better. Bodhi News: Bodhi News & Analysis - 20 Feb.